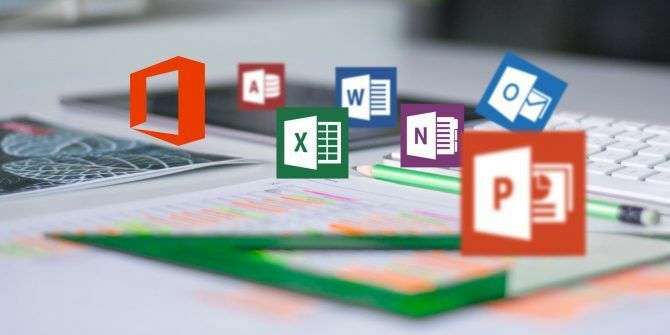 Office 365 is Microsoft’s subscription package An Introduction to Office 365: Should You Buy Into the New Office Business Model? An Introduction to Office 365: Should You Buy Into the New Office Business Model? Office 365 is a subscription based package that offers access to the latest desktop Office suite, Office Online, cloud storage, and premium mobile apps. 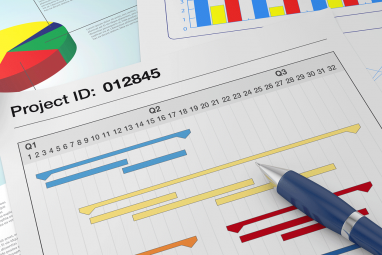 Does Office 365 provide enough value to be worth the money? Read More designed for productivity and collaboration. So, the Office tools you get depends on the tier you choose. You are already familiar with Word or PowerPoint. So, let’s explore five other Office 365 business tools that make team collaboration easier. Skype for Business was formerly known as Lync. Today, Lync is a separate program to the freely available Skype which is Microsoft’s main enterprise messaging and meeting solution. With it, you can communicate through text, audio, and video. You can even host a call with up to 250 people, regardless of whether they’re in your organization. There are many Skype alternatives Fed Up With Skype? The 7 Best Free Skype Alternatives Fed Up With Skype? 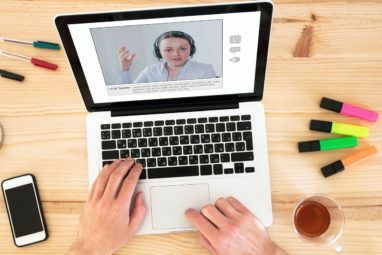 The 7 Best Free Skype Alternatives Skype isn't the only name in video conferencing apps anymore. Here are some of the best Skype alternatives you can choose today. Read More . But, Skype for Business integrates so well with the rest of the Office 365 package that it doesn’t make sense not to use it. When scheduling a meeting in Outlook, go to Appointment > Skype Meeting to automatically embed a link that people can click to connect. Once in the meeting, you can click the Present icon to show your desktop, a PowerPoint presentation, or even start a poll. You can also click the Ellipses icon > Start Recording to save all audio and video from the meeting. For more top tips, check out our guide to have the best meetings with Skype for Business 7 Skype for Business Tips and Tricks for Great Meetings 7 Skype for Business Tips and Tricks for Great Meetings Skype for Business, formerly Lync, lets you host up to 250 people in a virtual meeting or webinar. You can use a combination of audio, visuals, and chat to engage your audience. We show you... Read More . If you want to improve your note taking, OneNote is the perfect solution for you. You can write notes, draw, capture screenshots, record audio, and so much more. It’s different to a word processor like Word. OneNote works more like a ring-binder, allowing you to collect your notes across all applications. We’ve previously listed how to use OneNote for work, so check this guide out for some ultimate productivity tips. For example, press Windows key + N at any moment to quickly scribe a note. Or highlight something you’ve typed and press Ctrl + 1 to turn it into a checkbox—the perfect beginning of a to-do list. Use the Draw tab for some visual recording, or the Insert > Record Audio/Video options. It’ll even help you transcribe text stored in an image. Simply right click the image and click Copy Text from Picture. Hopefully, it’s clear that OneNote is much more than a simple note-taking application. For full information, be sure to read the only OneNote guide you’ll ever need. If you’ve been emailing files to colleagues or uploading them to file sharing sites, it’s time to stop and use OneDrive. It’s a cloud storage service like Dropbox and Google Drive that lets you upload files and access them from anywhere. To put an individual file or group of files onto OneDrive, it’s as simple as Upload > Files or Folder respectively. Alternatively, go the New dropdown to immediately create things like a Word document or Excel workbook. While it doesn’t function as a fully fledged backup solution, OneDrive does have version history. Right-click a file and click Version history to see recent changes to your file, from which you can then roll back to an earlier iteration. For an organization, perhaps the most useful function is being able to share a file at a click of a button. Right-click a file and click Share. From here you can use the dropdown to share the file with anyone, those in your organization, or specific people determined via email address. You can also create a shareable link or embed it straight into Outlook. For more advice, check out our quick guide to using OneDrive in Windows 10 A Quick Guide to OneDrive in Windows 10 A Quick Guide to OneDrive in Windows 10 Can OneDrive replace Google Drive or Dopbox? It depends. To help you decide, we'll tell you all about OneDrive's best features and how to set it up. Read More . SharePoint is a beast. There’s no polite way of saying it. If you’ve ever encountered it in your organization, you may have preconceptions on what it is and whether it’s any good or not. Broadly speaking, SharePoint is a cloud intranet that lets teams create pages for themselves and the wider business. SharePoint is capable of doing a lot and it relies on a strong IT team to implement it well and give it a decent structure. It’s not as user-friendly as some of Microsoft’s newer tools, but it can be as powerful, especially when you’re in a large organization that has problems sharing information. Sharepoint is a complete content management system. Use it like a wiki—maybe as an informative microsite about your team or what you’re working on, These can be configured with integrations like polls or contact forms, along with storing and sharing files. You can build your organization’s intranet homepage that brings together documents, emails, feeds (news, Yammer, or whatever you like), videos, and more. Upload training materials, tag your files with metadata and keep everyone engaged with notifications on the PC and mobile. Slack has taken the world by storm Slack Makes Group Communication Faster and Easier Slack Makes Group Communication Faster and Easier Group emails can really kill productivity. It's time to put mail clients to rest and use collaboration services like newly launched Slack. Read More , but Microsoft isn’t resting on its laurels. Instead, they fought back by launching Teams. While Teams looks much like Slack on the surface, it’s actually more than that. It blends chat and Office 365’s business applications together to create a collaboration hub. Channels can be created for different discussion topics and your team members can quickly and simply chat back and forth with one another. Conversations can be threaded to stop people talking over one another. Emojis, gifs and custom memes can be sent to keep things fun. Microsoft Teams integrates everything from Word to OneNote to Power BI. For example, you can upload a document into Teams and have people comment and collaborate on it without ever leaving the platform. Or you can use Planner to keep up-to-date with all your team’s work, assigning tasks and clearing to do lists as you go. Perhaps even better is the ability to use third-party APIs or use their platforms. You could have a Twitter feed automatically update within your team area, for example, which is the sort of bot that Slack users might be familiar with. Teams can also integrate with things like Trello, meaning you can use the service without leaving the Teams environment. How Do You Work With Office 365? Use these Office 365 business tools together and you can make your organization more effective and collaborative. Of course, the best tools in the world alone won’t help you achieve that. See our tips for effective real-time online collaboration Team Working: 10 Tips For Effective Real-Time Online Collaboration Team Working: 10 Tips For Effective Real-Time Online Collaboration Read More for more advice. Explore more about: Business Technology, Collaboration Tools, Microsoft OneDrive, Microsoft OneNote, Project Management, Skype. Ummm,nice list, but even the horrendously bloated M$ Word, can open and save in ISO standard ODF format, .dot. Why none in your list made mention of global standards. From good list to totally crap,in a heartbeat. here is the secret encryption site freeemailencryption.com that everyone on irc talks about and the term going dark was coined. accessing the site is difficult, some will see a blank page, others a basic trimmed down version, others will be able to use the full crypto pirate ship. legend has it, its still self funded by a person who was born at nsa literally. as a child under ten, was able to defeat nsa physical security with a frisbee (on the roof) while also banned from using the toilet inside by crawling underneath the gates. also said to be the youngest arpanet user before the internet began. Would be great if reporters figured out what this is about. Hello. I really like your article but could you please soon show us something that is not connected to Skype? I personally have never used it, but my business partner did before and he is very disappointed. Could you please share your opinion on Brosix instant messaging platform. We have been using it for some time and would like to know if you approve it, some tricks connected with it, etc. Very neatly written and explained article. Useful for creating a new profile for many of us. Like to refer others to go through this well written articarticle. Thanks and regards.